Are there any Phanteks Strix waterblock user for RTX 2080 Strix oc ? Do you have new bios and how can I upgrade? I use the nvflash64, but i not write in command "-6",just nvflash64 xxxx.rom. This is problem? What this the "-6" in the command? With the new EKWB Fluid Gaming RTX Waterblocks out, I noticed that my ASUS Dual OC 2080 isn't on the list of compatible GPU's. Looking at the PCB between the Founder's and mine, there isn't any difference as they both are reference PCBs so it should be compatible right? Or am I overlooking something? Found a 400A-A1 in a Zotac 2080 Blower. sorry to sound ignorant, I have been out of the loop for quite a while and just got my 2080 last week. What is special about the 400A-A1? Edit: never mind, figured it out, the A1 is a better bin, makes the list on the first page make allot more sense. According to the chart, mine should be a non-A. 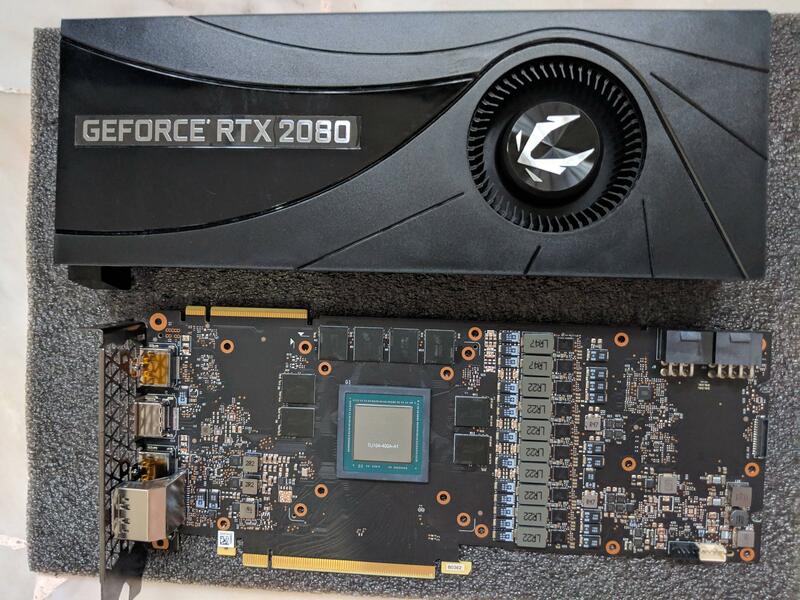 I am pretty sure I am going to step up to a 2080TI around the next pay period, so I am not going to pull the blower off to check, but its good info to know when doing the step up. Last edited by inedenimadam; 03-24-2019 at 07:54 PM. What kind of temps you guys are getting with hybrid coolers after running Heaven benchmark for at least 20min - 30min? Ok,i understand. Thank you very much ! what is an average core/mem overclock on these cards? using OC scanner, mine boosts to 1935 (nominal) - 1980 (max), but it did nothing for memory.